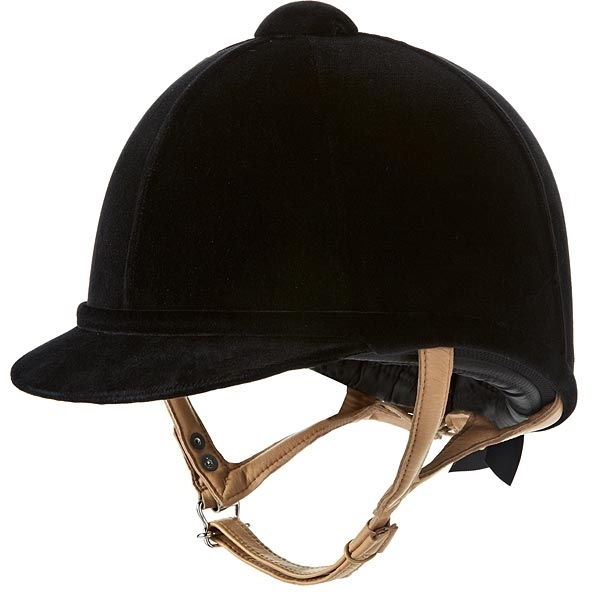 Like its predecessor, this helmet is perfect for showing, yet adds the latest European protection and safety. Covered in the most luxurious velvet trimmed to perfection and featuring a slim tan harness to create a supremely elegant appearance. Only kitemarked and CE marked to VGI 01.040 2014-12. Please note this item is non-returnable/non-refundable.